IAFF Local 2602 - R.F.B. We'd like to send a HUGE "Thank You" to the following organizations for their assistance in services for Robert Torres. We couldn't have done it without them. Visitation: Wednesday, Oct. 19 from 6-8 p.m.
Graveside funeral service: 10 a.m.
Fernando " Plancha" Gonzalez passed away yesterday due to medical complications. Our condolences go out to his family. He served over 30 years for the City of McAllen. We are deeply saddened to inform you that a a fellow Brother Firefighter Jaime "Bino" Zapata has lost his battle with cancer. 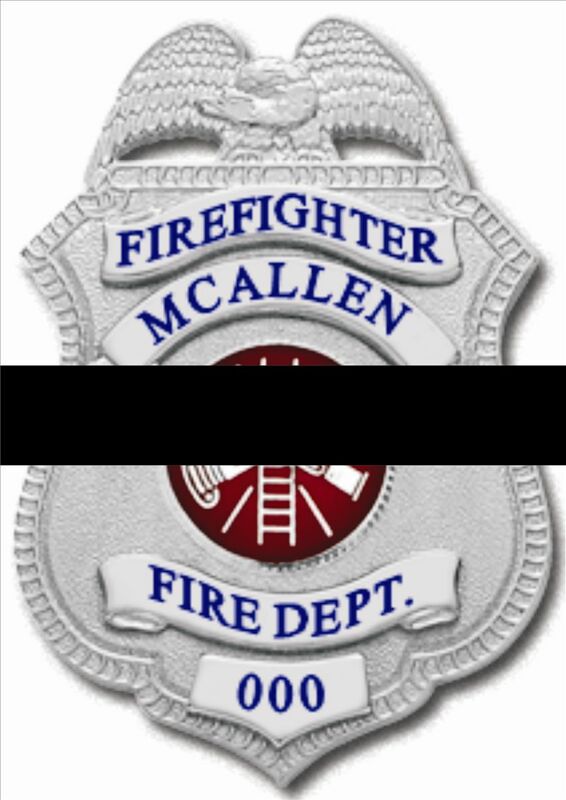 Bino Served with the City of Mission ,as a Professional Firefighter, and with the City of Edinburg ,as a Volunteer Firefighter. Please keep the Zapata family in your prayers as they cope with their loss. The fire service has lost a great firefighter, but we know that the Good Lord will prepare for a hero's welcome.